Being a child of the eighties I've come to realize a couple of things about society and life in general. One: Turtles can learn karate. Two: Thunder can be quite beneficial for cats. Three: A man can have the first name 'He'. 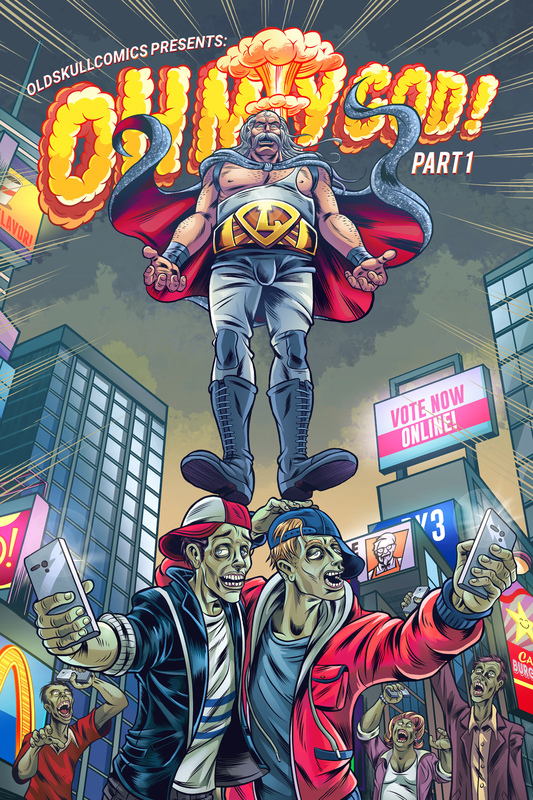 And Four: Without a shadow of a doubt, my mate Gerardo can create an amazing eighties inspired webcomic. Here, check this out for the full 411. 1) What are your own origins, Gerardo? When I was a kid, I grew up reading a weekly comic called 'El Hombre Araña Presenta' ('Spiderman Presents' in English), which at the time reprinted Chris Claremont and John Byrne's run on the X-Men, and on an alternate week, it would then reprint the John Byrne run on the Avengers / West Coast Avengers. So yeah, Byrne was pretty much like a God to me, inspiring me to want to draw comic books. Apart from comics, my brother and I were also into horror films and music so I really absorbed it all in, and it made my life in Hermosillo, North México, all the more pleasurable. 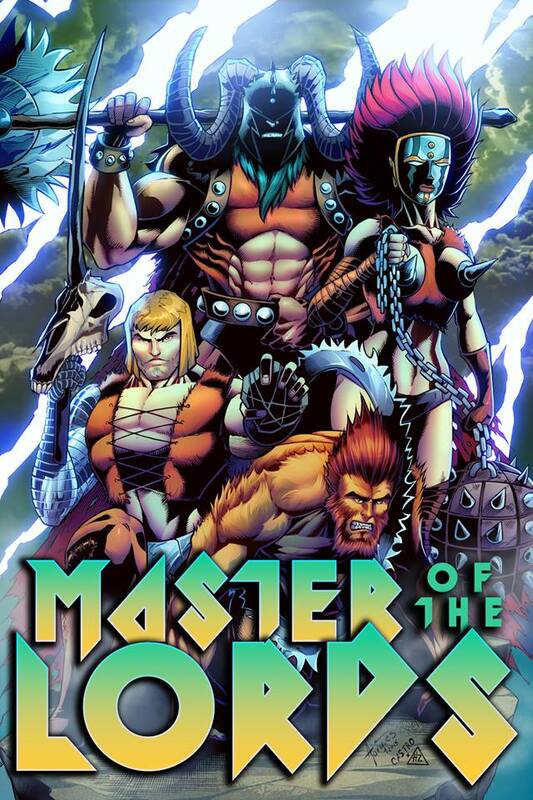 2) What inspired you to create, ‘Master Of The Lords’? 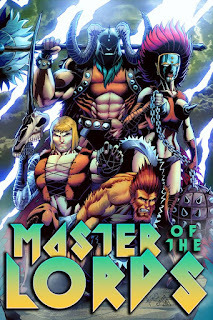 Being a child of the eighties I found that decade to be a really magical time in pop culture, especially with the advent of such great TV shows as the Teenage Mutant Ninja Turtles, Thundercats, He-Man, and so on. Now one day an artist friend of mine named David Marquez started talking to me about us working together on a project. He has a very different style than I do, as it's a much more detailed 90's style which don't quite fit into the indie style of art I usually look for my stories. However, during our discussion the idea came up about us doing something way over the top. I was inspired by a documentary where they mentioned that Toy Companies in the 80's created the Toy Line first, then afterwards developed a story for a cartoon so they could sell the toys. At face value I should have been offended by this revelation, but instead I was inspired by it, and figured we should do something like that: design the toy line first, and then a story crazy enough so these very different type of characters could meet and battle. 3) In your own words how would you describe this story? MOTL is the story of a kid who somehow finds a way of projecting himself into other dimensions and creating a number of different worlds. Whilst doing this, he also decides to put the fiercest warriors from each universe on a planet called 'Battle Sphere' and make them battle it out. 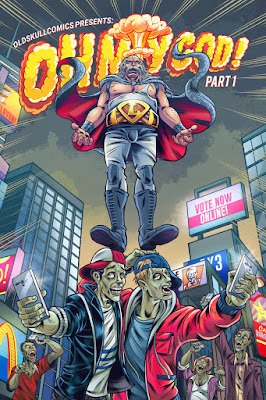 The story features borderline offensively dressed barbarians, rapping astronaut dinosaurs, extreme sports aficionado mutants, plus a planet full of ninjas! 4) What song would you say best represents this comic and why? If we could license 'Master of Puppets' by Metallica that would be pretty rad. Saying that, though, 'Master of the Lords' does come with a 3 Track Mini Soundtrack by 'Ancient Order of the Droids' (a mysterious electronic duo who manifests itself in the form of a virus on my old computer). These tracks are very much synth driven with an 8-bit touch to them, plus they sound like a MOTL arcade machine. 5) If you could get a celebrity – either living or dead – to promote your wares, who would you choose, and why would you want to choose this particular person? Hands down it would have to be Mr. T, and I don't think it needs an explanation. 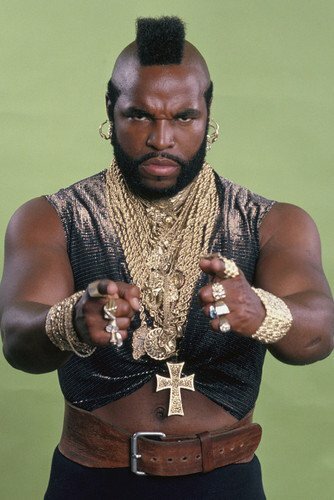 As a matter of fact, I actually pity the fool who needs one, Sucka! 6) What have you learnt about yourself through this endeavour? To be honest I'm still an up and comer, but I have done this long enough to know that it takes a lot of patience (and time) to get anywhere in the business. Most of us here at Old Skull Comics work on multiple titles with multiple artists and know that our patience has been tested like never before. Of course, I don't mean that as a negative to our artists, it's just that life happens, stuff gets in the way, and you have to find the strength to keep moving forward. 7) During your time in this field, what is the one thing that has kept you in good stead? Simply put, story is king, and to me there is nothing more important than telling a good story. You do what the story tells you to do, you go where the story tells you to go, and during your travels you'll find that there is no room for ego. I find partners that are aligned to that way of thinking don't put themselves above the art. Me, on the other hand, enjoy art (be it comics, film, or music) that don't 'show off' for showing off's sake. 8) If ‘MOTL’ had a motto, what would it be? We at 'Old Skull Comics' are proud to call ourselves 'The World's Craziest Comics Magazines! ', which fits MOTL perfectly, would also like to add that we 'will make you feel like an eighties kid again, even if you didn't grow up in the eighties'. And on that groovy note, baby, I'd like to thank my mate Gerardo for telling us about Old Skull Comics, before directing you towards his blogspot, twitter, and facebook pages.